We start teaching from the reality of what our bodies are, not from an imitation of how we think they should look. We will not encourage our clients to build muscle on top of a self already confused by an out-of-whack cultural ideal. We see teaching as a collaboration between client and teacher. Therefore, we make sure our students understand, from a body level, why they are doing what we ask them to do. We are dedicated to teaching exercise in a new way: one that recognizes not only the power of building strength, but also the necessity of learning how to let go of tension and allow the body to use the economic and architectural integrity of the skeletal structure. The paradox is that by learning this way we arrive, anyway, at a graceful, esthetic, toned and more confident body. In addition to teaching traditional Pilates, which builds both core strength and tone, we work with our students to change the habits that misalign and constrict. 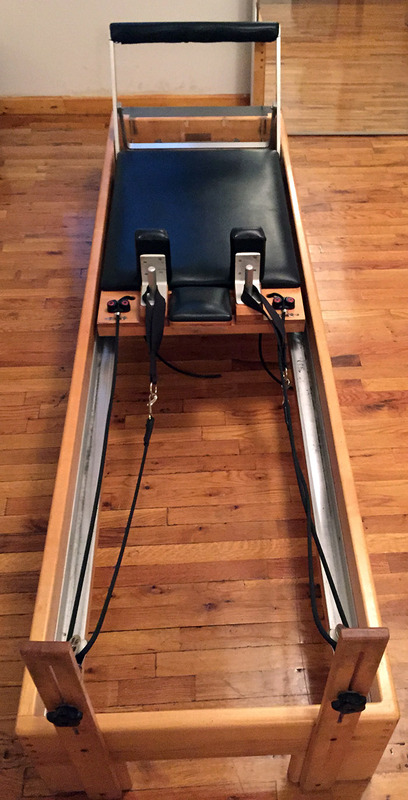 Generic Pilates as taught in most gyms and spas applies the same exercises across the board, disregarding the holding patterns of each unique body. We avoid building a muscular system on top of a chronically twisted or overly tightened body. Core strength is nothing without a fluid body to benefit from it. You will find your sessions tailored only for your own body. According to each client's needs, a session might include a sweat-filled power workout, identification and release of chronic tension spots, and/or passive bodywork. The end result will be an understanding of the Pilates form that you can take into any Pilates studio in the world. And the physical changes in your body will be self-evident.